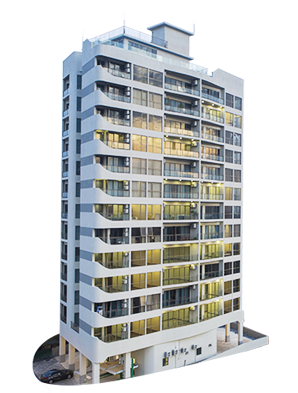 Alpha Homes Pvt Ltd., is a BOI approved property development company in Sri Lanka with investors from Australia and the USA. Internationally renowned Architect Dan Amareasekera, of Design One, well acclaimed Structural Engineer for high rise buildings, Shiromal Fernando of CSEC and Project Manager Nirosha Palpita with over 20 years of experience in the construction industry, have come together to form our dream project team. Our business is built upon creating exclusive architectural designs for our clientele. Our aim is to develop a unique and luxurious product at an affordable price that exceeds all expectations. Keeping this in mind we will always work with the finest construction principles and international safety standards. We have obtained the services of a C-1 graded construction company that is a market leader in the industry. Trained professional experts are chosen from their respective fields to ensure that the highest standards are met to construct Kings View Residencies (Luxury Residencies in Sri Lanka). We have screened our suppliers to ensure that quality work is maintained throughout.